​Culture is our way of life. It includes our values, beliefs, customs, languages and traditions. Culture is reflected in our history, in our heritage and in how we express ideas and creativity. Our culture measures our quality of life, our vitality and the health of our society. Through our culture we develop a sense of belonging, personal and cognitive growth and the ability to empathize and relate to each other. Cultural diffusion is the spread of cultural beliefs and social activities from one group of people to another. Starter: Write an introductory explanation to both culture and cultural diffusion using the text and videos above. Is there such a thing as a developing 'Global Culture'? 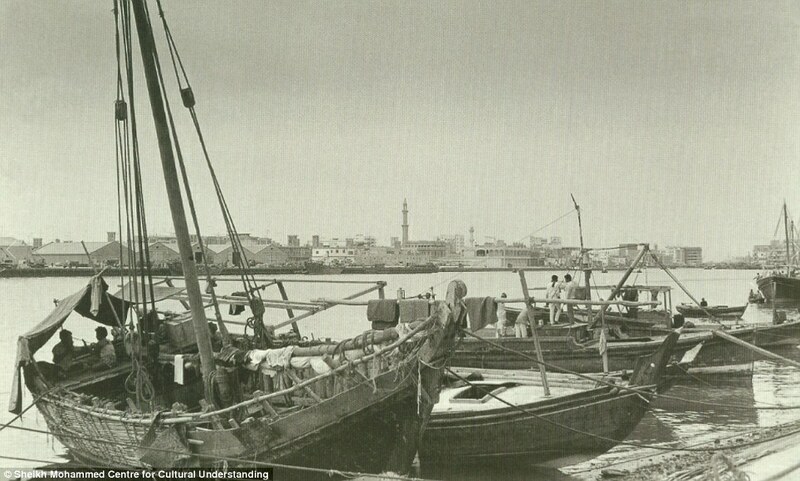 ​As the planet becomes more and more connected, people and financial flows increase between places, it has been suggested that the spreading of cultural traits (westernization) and mixing of cultures (hybridity) may be leading to a new universal cultural practice. Read the article from Forbes below and highlight the main ways in which Balaji Viswanathan disagrees with a global culture being created. Feedback to your group in a micro presentation that should last no longer than 2 minutes. Note: Given that this is a YouTube task, you are using a tool that is very much at the centre of this topic. Check out the number of views that your video has too, and if necessary, make reference to this under the relevant section above. In the past cultural imperialism has been associated with colonialism. When the U.K colonized large parts of the world they took with them their language (English), their sports (rugby and cricket), their forms of transport (railways), their dress (suits), their legal system, police system etc. and imposed it upon their colonies. Now cultural imperialism is more associated with economic forces, although former colonial powers often have some influence over many of their former colonies e.g. The Queen is still head of state for many Commonwealth countries including Australia, Jamaica, Canada, Belize and New Zealand. ​The U.S currently has the World's largest economy and has been able to export its control and influence through the commodities of its TNCs e.g. Google, Ford, McDonald's, Walmart. America's cultural imperialism has sometimes be described as Westernization and/or Americanization. Cultural imperialism may also take place via global institutions like the IMF, WTO and World Bank (many of which are heavily influenced by the US and Western Europe). iii. Global Brands: Apple, Google, Coca-Cola, McDonald's are all brands recognised and used around the World. Economic and political exploitation e.g. resources may be stripped, taxes not paid. Additional information can be found here on this excellent BBC Podcast. Task 1 - Write a clear definition of Cultural Imperialism under the title above and take notes on the five impacts as set out above as well as the key advantages and disadvantages. With the use of examples, explain what is meant by the term cultural imperialism. TOK - Imperialism or Misadventure? You will have heard the recent story of John Allen Chau, a Chrisian Missionary who was killed by a remote tribe as he tried to make contact with them. The story can be seen as a video story here with the response from Survival International here. ​Glocalization: The adaptation of a global product for a local market place. The word comes from an amalgamation of the words globalisation and localisation. Click here to be taken to the McDonalds world website. 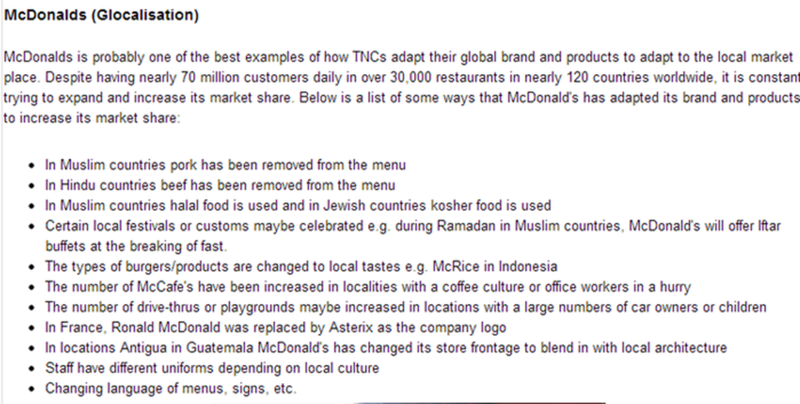 Here you can visit the regional sites of McDonalds around the world and watch their current publicity videos etc. Click on your home country and see if you can find any evidence of the product being glocalized to meet local tastes. Click on the website link for India and start exploring the menu options. 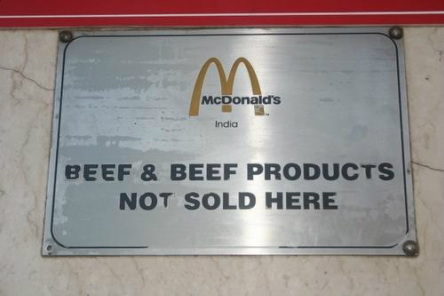 Be mindful that a majority of India's population do not eat beef products. Click here to find out why. ii. Comment on children promotions and their socio-cultural impacts on the target audience. 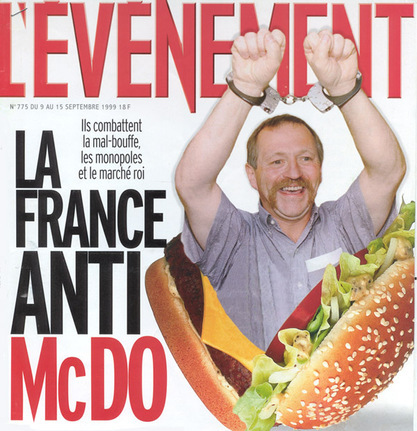 We can visit our local McDonalds to see evidence of the French glocalization of the McDonald product range. Our nearest McDonalds is approximately 10 minutes from school on foot. The work pack below is what we will use to complete the study. Hybrid: Something of mixed origin or composition, such as a word whose elements are derived from different languages. Task 1 - Watch this BBC Radio 1 Documentary and take notes on how cultural hybridity is developing through the K-Pop music scene. Where is this place below? 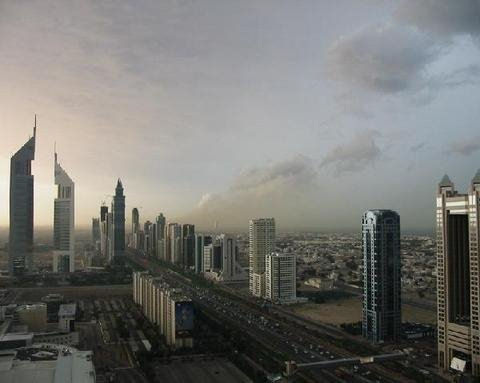 Starter: Watch both of the videos above to get an idea of the speed and spread of the development of Dubai and the impacts on the cultural landscape. Now, take a good look at the three images below. 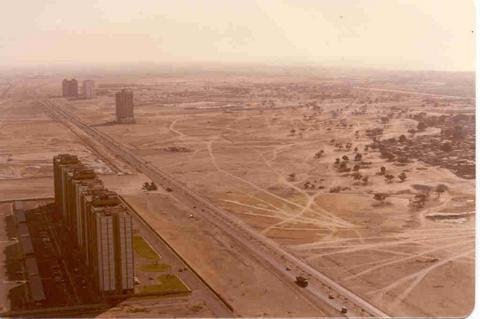 Each one is taken from approximately the same spot in 1990, 2003 & 2007.
the evolution of uniform urban landscapes in Dubai. 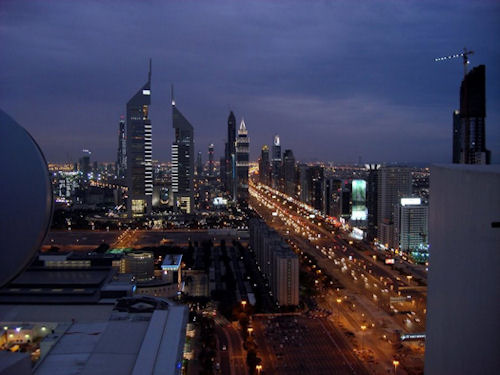 the cultural landscape changes from traditional Arabian to modern metropolis. Use the three images to the right as your stating point and then this excellent (images, not publication!) piece from the Daily Mail to choose more examples of how the landscape has been homogenized. Task 1 - Local Scale (in Toulouse) - You will need to fill in the two sheets below with as much information as possible, keeping it relevant to France and, if possible, the Toulouse area. There are four more links to the right to help to guide you. Task 2 - Global Scale - Use the resources below to get a little more information about the spread of British culture more globally. British Schools Abroad (offering a British Education / or offering education in English) - Click here for map. Explain how diasporas influence cultural diversity and identity at both global and local scales (10).